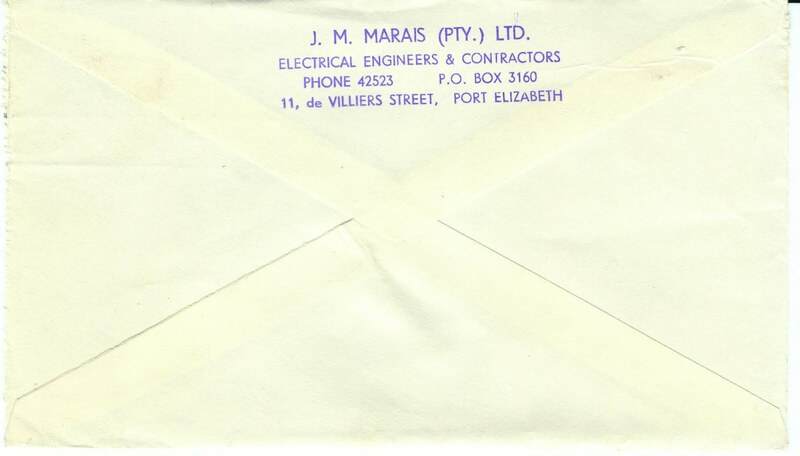 I'm nearing the end of my collection of envelopes with logos and adverts on the front, but many contain the names of companies on the back, which is also of interest. 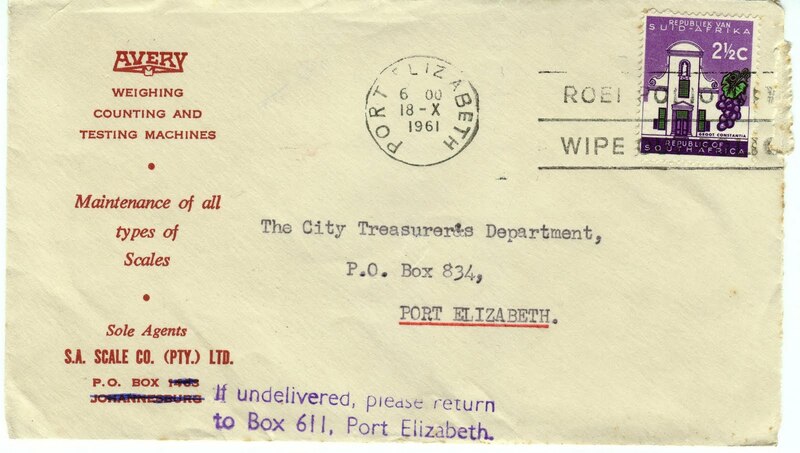 These all date back to the Port Elizabeth Municipality in 1961 - 50 years ago. I had a colleague called Barry Avery. 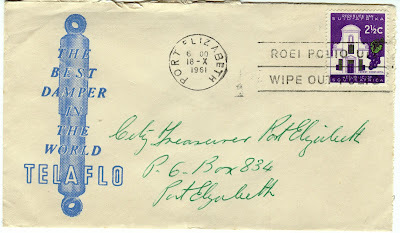 I wonder if he was related to this early form of measuring and computing, so to speak? Eureka! 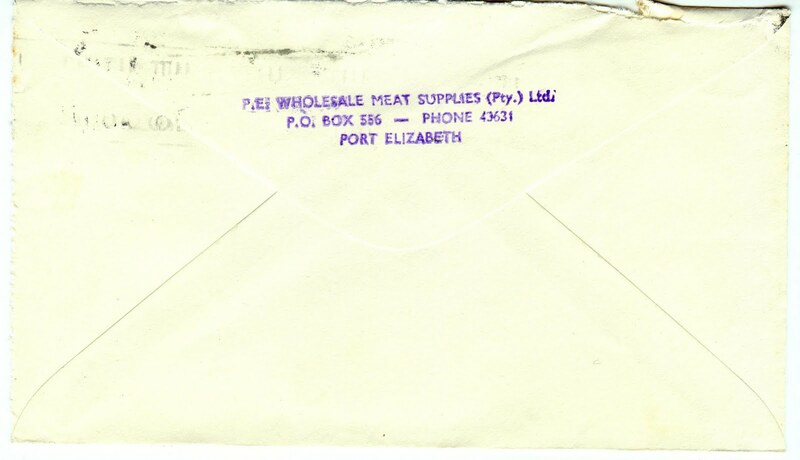 The SA Scale Co, here with a Joburg address crossed out, and a PE PO Box number stamped on in its place, still exists in the PE phone book. But it no longer has even a Box number. Instead, woe of woes, you can call a call centre, which could be anywhere in the world. 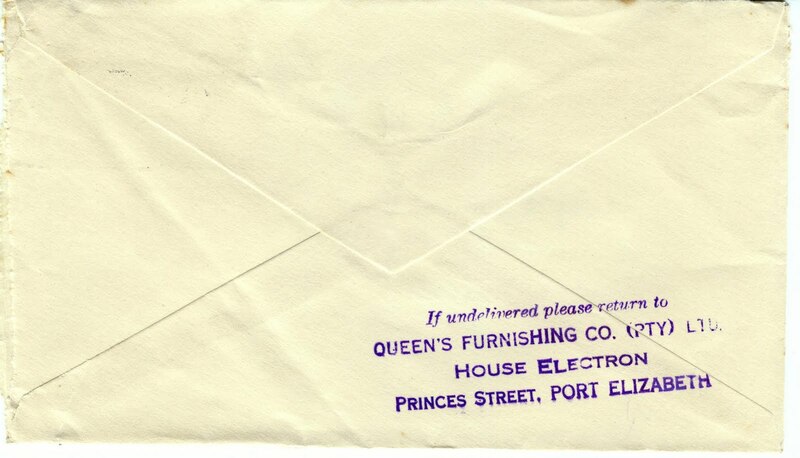 There is no Queen's Furnishing Co in the PE phone book. 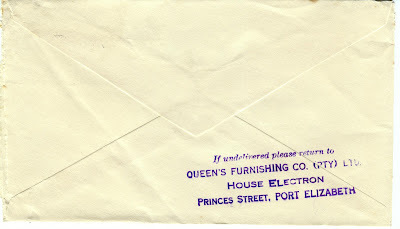 I like the name of the building: House Electron. 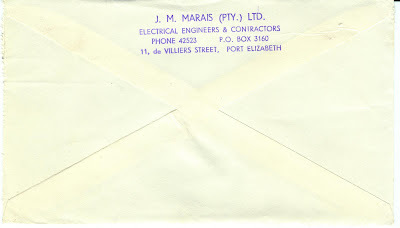 What of J M Marais, the electrical engineers? No. 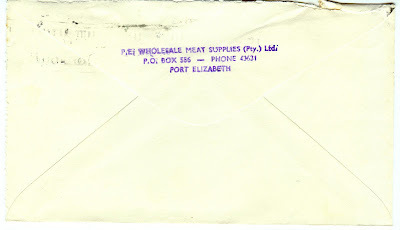 Lots of Marais in the phone book, but no J M.
PE Wholesale Meat Supplies is also no more. Supermarkets obviously put paid to many such businesses.